1. A mash up of the words ‘Anime’, ‘Manga’ and ‘Gaki’ (a Japanese slang meaning ‘brat’). 2. An awesome annual themed anime convention held in Sunway Lagoon, Malaysia. 3. Into its 7th year, it is a convention that holds true to the creator’s original intentions: organised by fans, for fans of anime. Kicking off my shoes, I bring to you my exciting experience at AniManGaki 2015. Though I could only stay for one day, I would like to extend my thanks to Jo Lynn and Gerry for the opportunity to cover the event. Hailing from Singapore, I’ll admit I’m not very familiar with anime conventions outside of our sunny island (I know, I know…I’m expanding though and promise to check out more stuff overseas!). 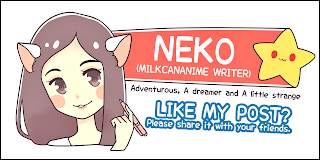 AniManGaki, though has a special meaning to Milkcananime, as we have been supporting their event as sponsors for several years now. Taking a three hour drive to the capital of Malaysia, I just had to check out AniManGaki this year! It is sporting a sports theme after all, a genre which yours truly is a huge fan of. Not to mention the special guests, YAKI and Zwei! An empty space that will soon be full! I was in the main hall about fifteen minutes before the convention started, and was surprised and impressed by the sheer amount of doujin booths! Taking up half the hall were, fourteen rows of doujin booths, amounting to about a hundred or so different creators and their works, now that’s what I call a convention that is centered around fans of anime and manga. Still setting up the booths! Interesting to note was the large number of art commissions at the booths, really fun to be able to interact with your favourite local doujin artists personally. And for artists that weren’t there personally you could always ask their helpers to hand you a name card so that you can find them on social media! Here's something I had commissioned for myself! Thanks to #theartofjoannepoon! Other things at the booths included badges, magnets, handcrafted hats and bags, stickers and posters. 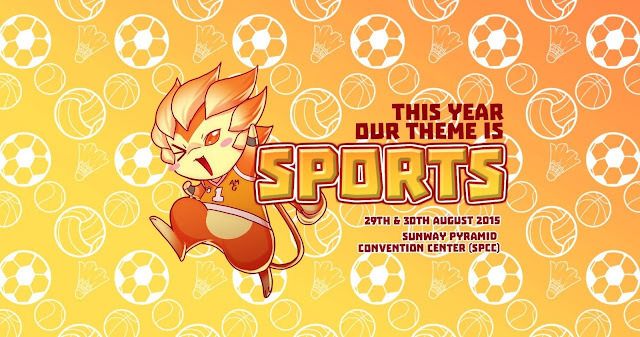 Since this year’s AniManGaki was sports themed, it did feature plenty of current popular sports anime as well such as Haikyuu and Free! Toward the back of the hall were more merchandise booths from enterprises like Hobby Legend and Hobility which catered to the sales of goods such as dakimakuras (body hugging pillows) and fukubukuros (lucky bags). Needless to say, within the first few hours the hall was filled with people and… cosplayers! Moving on from the amazing cosplayers that graced the event, let’s talk stage activities. The stage was constantly a lively place, with special band performances interspersed with appearances of YAKI, Zwei and the contestants of the AniManGaki Idol. I managed to catch the appearances of the first two local bands Fazz and Crestfall, both were brilliant and had me tapping my boots and nodding my head to the beats as I went around the booths in the hall. Looking around, I wasn’t the only one jamming along to their tunes, with cheers whenever a song that we all knew came up, it was a great atmosphere. And left me with much delight that Malaysia supports their local talent with such enthusiasm! The lovely YAKI appeared afterward, she was cosplaying as Lin Yueru from the Chinese RPG ‘The Legend of Sword and Fairy’ though most of you probably know it from the television series ‘Chinese Paladin’ instead. Needless to say she looked gorgeous as the character, and when asked how she would judge the cosplay competition later, she shyly said that due to the nature of the competition being small and simpler compared to China, she would be looking for participants who are having fun on stage. Ahh....kinda cute how they had the same pose just for those few seconds! Both Ayumu and Megu revealed that they play all the visual novels that they sing theme songs for and are fans of the anime Chibi Maruko-Chan and Doremon. Their inspirations for their music come from Marilyn Manson and Aerosmith. When asked what other genres of music they would dabble in, they said that they were trying out digimetal and maybe some slower more ballad pieces in the future, I’ll certainly be looking out for that. They were also asked who they would most like to collaborate with, Ayumu playfully answered Idolmaster knowing that there were many Idolmaster fans in the audience. Ayumu was eventually asked why she always wore a pair of sunglasses, and she coolly replied it was because most female artist do not wear sunglasses so she thought she’d create a unique image for herself. Megu on the other hand was asked what the wildest hair style she had was, and she let us in on the secret that she had actually worn her fiery red hair to school, and even tried dreadlocks once! Imagine that! Rounding off the interview was a rapid-fire question round. Cats or Dogs? Turned out is was Megu for cats and Ayumu for dogs. Coffee or Tea? Both liked white coffee the best. Batman or Superman? … Turned out a third option was created and Supergirl was the winner! It was fun getting to know more about Zwei, and they were even kind enough to take a wefie with the crowd at the end! My last stop for the convention would have to be large collection of toy and collectables, I'm told that the entire room costs quite a fortune. Well, I did take a quick look at the anime screening room before I left the convention, boy was it cosy with beanbags and a large projector screen, my only regret was that I wished the room was bigger! They were many that wanted to enter the room but didn’t have a chance to. AniManGaki! With a turn out this big and a following that increases every year, you might have to consider getting an even bigger venue! With that I conclude this article~ Thanks again AniManGaki for organising the event. I’ll definitely be there next year! And for all you otakus out there~ especially if you love doujins, this is the event to be at! No Comment to " AniManGaki 2015 "